Documents, examples, data, incriminating evidence, and other stuff. Lost in Translation tattoos. Text p. 32, endnote p. 311. Examples of the materials used in Perfetti’s study of good and poor readers’ use of information concerning the predictability of words in context (text: p. 130). Each sentence ended with the word dump. Figure showing the lesser overlap between similar words in the dyslexic model compared to the “normal” one (text: pp. 172-173). Explanation of the RAN task, pp. 177-178. 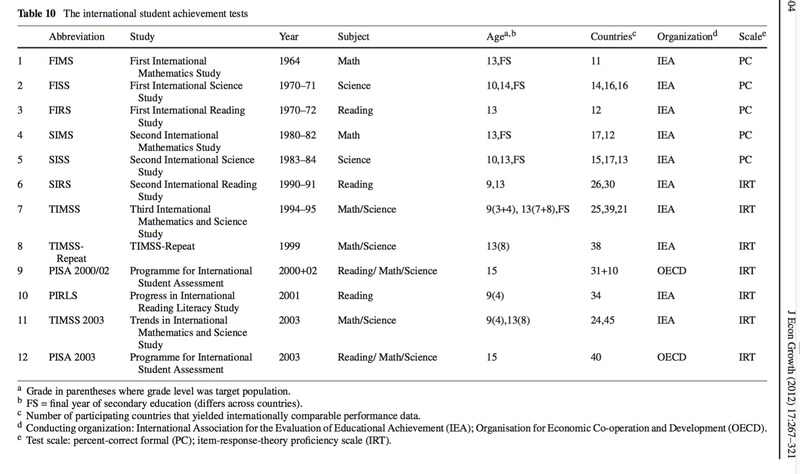 Widely-used task on which dyslexics perform more poorly than non-dyslexics. What does this tell us about causes of dyslexia? Powerpoint show, 228 KB. As promised, all of those international test acronyms. Text, p. 229, endnote, p. 329. From Hanushek & Woessmann (2012). 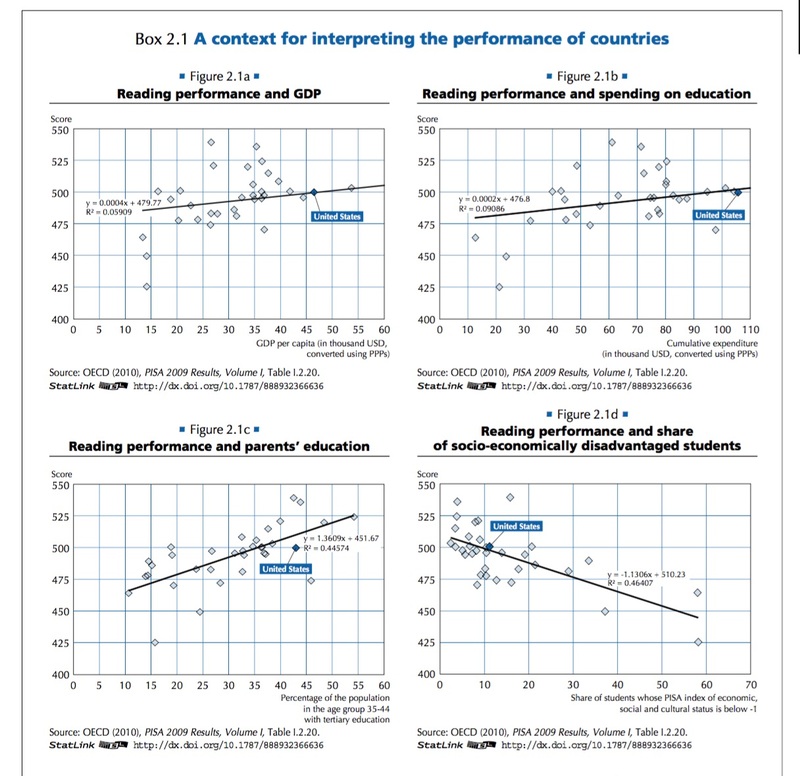 How GDP, parental education, and other factors relate to PISA reading scores. Brief explanation of what the figures show. Text, p. 231; endnote, p. 330. Taken from here. Conspiracy at NICHD: the obscure document cited by Allington and Woodside-Jiron (1999) as evidence of an anti-education agenda at NICHD, the US research agency. It’s just a tech report summarizing reading research that had been supported by the agency–entirely public information. Doesn’t include secret plans for attack on education, however. Text, p. 262; endnote, p. 335. National Education Association investigation that incorrectly asserts that Piaget and Vygotsky did no experiments. Text, p. 262; endnote, p. 335. PDF version (see item 9, p. 5). T*T Willow, endnote p. 317. It’s no longer censored on American iTunes (but it was ludicrous while it lasted!). National Council of Teachers of English position paper on reading. PDF here. Text, p. 271; endnote, p. 337. Smith and Goodman, still.